My passion for fitness includes running – trainers on, iPod® in or with others – really blows away the cobwebs away. It is my time to focus on my fitness, to let the endorphins kick in and to escape from the stresses of everyday life. Physical activity is the best way to reduce stress, it doesn't have to be a run or a marathon... it can be as simple as a walk around the block. The feel good factor that exercise gives us is priceless. 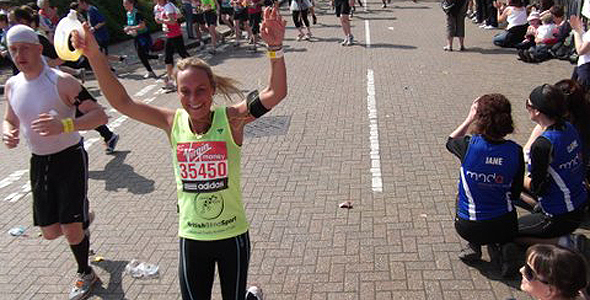 I took up running three years ago, completed my first London marathon in 2011 and worked as a Freelance Running Instructor for Virgin Active®. I took members out once a week and planned varied and fun sessions which incorporated warm up exercises, running techniques, interval and speed running, relays and races, core work and stretching techniques.